On January 9, 2013, a 300-foot crane collapsed onto a building at a development site in Queens, NY. Three workers were trapped inside the fallen structure and seven were injured. Amazingly, there were no fatalities, although three of the injuries were considered serious. This crane incident was actually one of several that have occurred in New York City in the previous five years. Back in March 2008, two large cranes collapsed within two months of each other in Manhattan, killing nine people in total. In this latest incident, the operator of the crane had his license suspended after it was determined that he was trying to lift a load that was more than double of the crane’s capacity. In addition, the operator could not see what was being lifted by the crane and was trying to move materials outside of the approved zone. In total, he and the contractor he was working for were cited with five violations as a result. While there are many systemic factors (such as training, communication, and overall safety culture) that certainly contributed to this near tragedy, it is interesting if we stop and take a look at the operator himself and the way in which his actions (or inactions) influenced the incident. First, let’s consider the fact that he was attempting to lift a load that was more than two times the maximum capacity allowable for that particular crane. Was he aware of this? Did he know what the weight capacity was for the machine he was operating that day? Was it simply a case of not noticing certain cues that indicated there was a problem? Perhaps a different operator who was more aware of their surroundings and more cued in to the situation could have sensed a problem earlier, and could have prevented this. One would assume that an experienced and trained operator would be aware of the maximum capacity and whether you were exceeding it by over twice the allowable weight. According to reports, however, he could not see what he was lifting, so it is quite possible that this contributed to the event. That brings us to our next question, however. How long was he loading materials while being unable to actually see them? And how risky did he think this was, if at all? How would a more cautious, risk-averse operator have handled the situation? Perhaps they would have tried to communicate with someone on the ground about the estimated weight. Better yet, maybe they would not even have attempted to lift anything if they could not see the materials. Now, let’s not forget about also trying to move the materials outside of an approved zone. Again, maybe he was not aware of which zones were approved and which ones were not. This could have also been chalked up due to simple lack of awareness. However it is quite plausible that he was well aware of the approved areas and actively chose to violate this rule. In fact, it’s possible that he also knew he was over the weight limit but continued to perform the lift despite the risks. We do not know, as he and his union declined to comment on the event after it occurred. But it is interesting to speculate that if this were simply a case of not following the rules, what would have happened if a different individual was operating the crane that day? One that strictly followed all rules, had a deep respect for safety policies, and was simply uncomfortable with not going “by the book?” It certainly could have prevented this dangerous incident from taking place, because that type of individual likely would have taken precautions to stay within the weight limits and work within the approved zone. Such individuals also tend to be injured less often on the job, which makes sense given their propensity to engage in safe behavior and comply with existing safety policies and procedures. 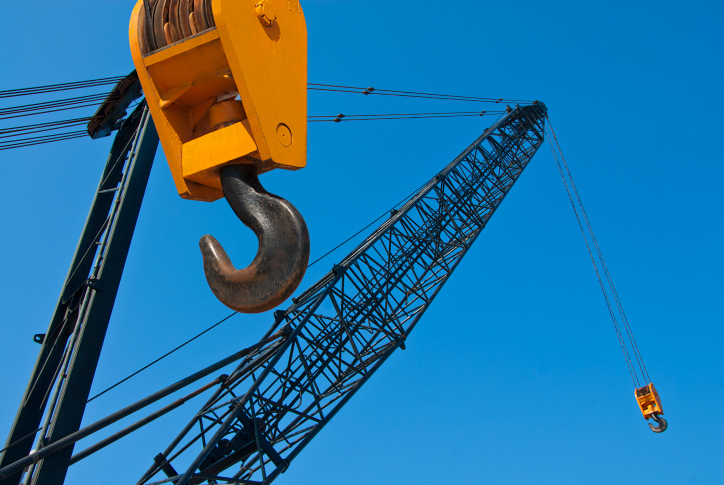 In the end, any of these individual factors – awareness, caution, or rule-following – could have played a critical role in this unfortunate crane incident. That day, a particular individual was operating the crane, and whatever the ultimate root causes of the incident were, he made decisions and engaged in certain behaviors that resulted in a crane collapse that injured seven individuals and damaged property, as well as five safety violations, and the loss of his crane operator license. And while his employer and the owner of the crane may have contributed to the event through lack of due diligence and ownership of safety, it’s always interesting to ask “what if” a different person had been at the controls? Someone who was just a little more aware of their surroundings, was a tad bit more cautious, and followed the rules more. In short - someone who had the right type of SafetyDNA for a critical job like operating a large crane in the city. This could contribute to increased safety and less devastating accidents.